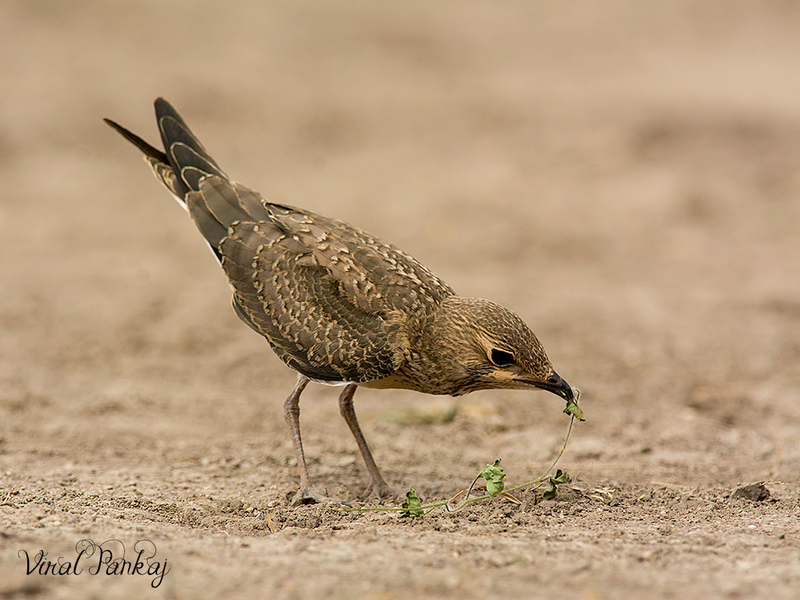 Oriental Pratincole is small bird. We went to Velavadar National Park for birding. While coming back to home we found this juvenile near the road. We stop our vehicle and start photographing it. As it juvenile and newer to world it did not afraid of Human. Its allow us to take many images from many angle like professional model. When we are click we are talking that this is last time this bird allowed any human to such close to it. It’s hardly 3 feet from our lens when we are clicking its image.